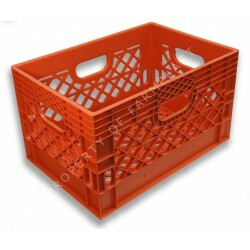 A few weeks ago, I set out to buy an orange plastic milk crate to use as a newspaper recycling bin, so, like many consumers these days, I went online to search for one via Google. Looking back, I realized that my decision reflected a real sea change in consumer behavior that involved a couple of unique decisions along the way. Pre-internet, I would have walked into a store like Target or Bed, Bath & Beyond and chosen from among their selection of plastic milk crates. If I was really committed to finding an orange one, I would have continued my search by roaming from store to store. The amount of time and money I spent I spent on my search would be directly correlative to the degree to which I wanted an orange milk crate. The same dynamic plays out in the world of television. Pay-TV providers were once able to tell viewers “this is what we have on air. Watch it or change the channel.” But now that the viewer is in charge, the question becomes “this is what I want to watch. Do you have it available?” Pricing will directly correlate to the viewer’s desire to watch the show or movie. So paying a premium for an ad free version becomes an option for your favorite show, while free, ad-filled TV is okay for shows you may consider nothing more than background noise. But again, the onus is placed on the seller to provide something the buyer wants, priced and packaged in an attractive manner. While that seems like something that should have been the case all along, it isn’t, and we are still waiting to see the full effect of this radical shift of power in both retail and TV.